Rice a Roni is a favorite at our house. Since I've started buying less boxed and processed foods, we don't eat it very often anymore. I've seen various recipes for this online, so I had to try and make my own. It turned out delicious and so very easy to make! Melt butter in a large saute pan. Add rice, noodles, garlic and onion. Saute over medium high heat until rice starts browning, about 5 minutes. Add chicken broth, parsley, salt and pepper. Bring to a boil, reduce heat to medium low and cook covered until rice is cooked through about 10 minutes. I know right?? It's so good and so much lighter and less salty tasting than the boxed stuff! YUM!! Wow, who knew so easy!! Here's a tip: If you can't find the skinny egg noodles, try broken angel hair pasta. I make a Mexican Fideo Soup and that's what I use b/c I can't find the noodles :) Thanks for sharing at Church Supper. Love seeing new faces. Have a blessed week and please come again next Sunday! Thanks for the tip! It was way too easy to make! Thanks for hosting and I will be back next week! This looks like a great, quick recipe! Thanks for sharing at Share Your Stuff Tuesdays! I hate to admit it but I love Rice a Roni...adding this to my list of things to try! Awesome! I love Rice-a-Roni. Pinning this to try! I can't wait to try this! 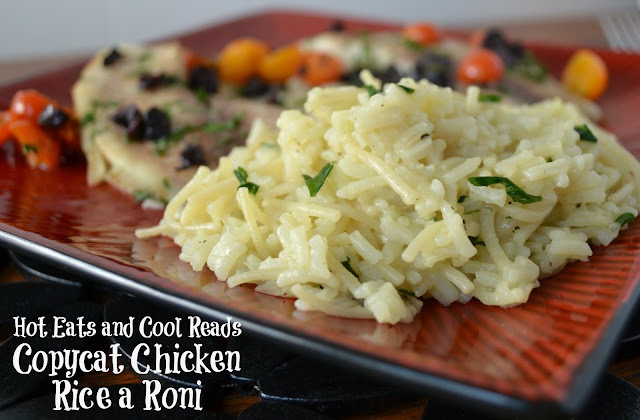 We love Rice A Roni--maybe I'll throw some cheese in to make it cheesy rice-a-roni! I found you from Good Tastes Tuesday. I LOVE rice a roni but don't eat a lot of processed stuff either so this sounds great. Thanks! Yum... going to have try it this weekend. 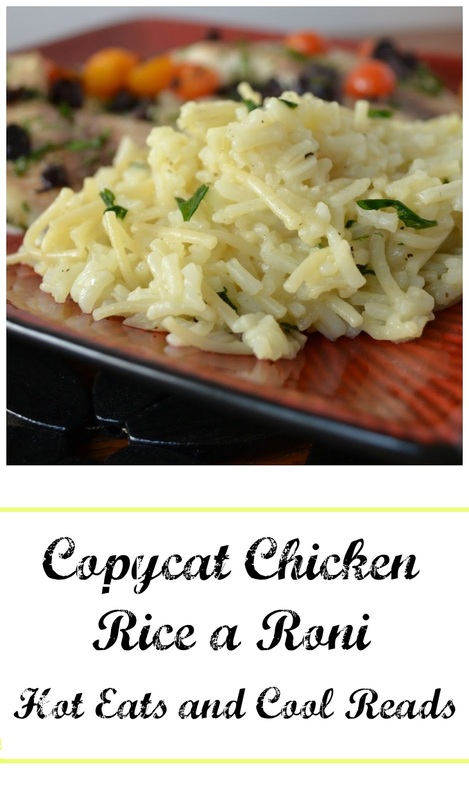 Sheena, Rice A Roni is one of my favorites and this recipe looks very good. Thank you so much for sharing with Full Plate Thursday and hope you are having a great weekend! Thanks so much, Miz Helen!! Love this! I was just talking to my sister yesterday about how she should really stop buying the boxed stuff and just make it herself. Now to convince to get on Pinterest! yum this looks so great! thank you for sharing! You're welcome!! Thanks so much for stopping by! Okay, this looks so easy and so delicious!! I love homemade versions of a boxed food :) thanks for sharing! You're welcome! This is such an easy recipe! Thanks for stopping by! What a great recipe! It looks very tasty. So glad you shared it with us at Weekend Potluck. Can hardly wait to see what you bring along to share next time. =) Have a wonderful week ahead. We have gotten away from boxed, processed foods too and Rice-A-Roni being one of them...yah...this sounds great. I have an Instant Pot so make rice often. This wil be a great addition.